Employee monitoring refers to keeping eyes on the employees through latest technological devices so that their internet use and other activities like calls and text messages can be monitored. Generally this is done as most of the organizations and companies have their policies to monitor their employees. When you get blessed with numerous benefits of monitoring the employees, demerits exist as well. 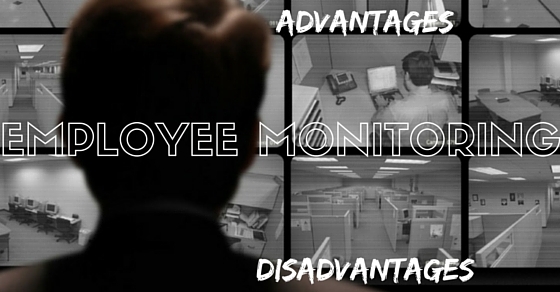 We will take on the balanced comparison of advantages and disadvantages of employee monitoring. This is a clear fact that when they are monitoring employees in the workplace , they start working better and their ultimate output increases as well. Most of the business and organizations have their policies to monitor employees because they want their workers to contribute efficiently. The reason for increase in productivity is that when the employees are monitored, they know that their activities are under supervision and so they work better and stop wasting time on irrelevant activities. Every organization has a system of monitor employee performance when it comes to giving rewards and increments to their staff, but there might come few drawbacks as well. Employee monitoring through proper technological tools is perfect and offers you a fair analysis of what your employees have been doing throughout the year or a particular period of time. On the basis of records, the company owners and managers would be able to evaluate the employees in best possible manners. Employees monitoring is the best way to ensure proper administration and management. Everything will go on the right track, employees will be working in work hours, the administration staff will be supervising and taking care of general matters and the bosses can ultimately take a sigh of relief. Better the administration, better the results. In short, employee monitoring is very useful in maintaining a peaceful environment within the workplace. The most important thing is maintaining better control over the staff by keeping eyes on the whole team working in your office. Things might be stolen, one of your employees might be taking the belongings of others, and there can be any other mishap within the workplace so to control all these, there is dire need of employee monitoring and keeping strict eyes over them. Various monitoring tools like TheOneSpy app can be deployed to manage your offices better. Though we, humans, work better under surveillance, it’s a fact as well that under-supervision the employees can be stressed, and it affects their productivity as well. The staff feels insecure when they know that they are being monitored, and each of their activities is under control. This is one of the biggest negative impacts of employee monitoring. Definitely, there is a profound effect on the trust level when the employees are monitored. If it’s proper monitoring with a written consent of the employees, it will not break the trust level as it will do, when it’s done without letting the employees know. When the employees don’t know that they are being spied, they will get offended and may leave the job too. This is very expensive when you install the complete monitoring system for your employees. Most of the monitoring nowadays is done through monitoring applications and these apps are very costly. Those with cheaper rates don’t work as per the needs, but those that are perfect and outstanding in delivering the desired results are expensive. Employee monitoring pros and cons carries, but the pros are outnumbered when a comprehensive analysis is held. Through monitoring employees, you can increase the productivity, customer satisfaction, better administration but you may lose the trust of your employees as well. Keeping eyes on the staff through proper channels is always recommended and safe when it comes to controlling the workplaces. Next articleHow to Prepare for Software Developer Interview?